Halloween 2015 Rocky Horror Double Feature in Minneapolis, MN! Enjoy a “traditional” Halloween celebration at the Rocky Horror Picture Show this weekend with Transvestite Soup! Shows are October 30th and 31st at MIDNIGHT!!!!!! 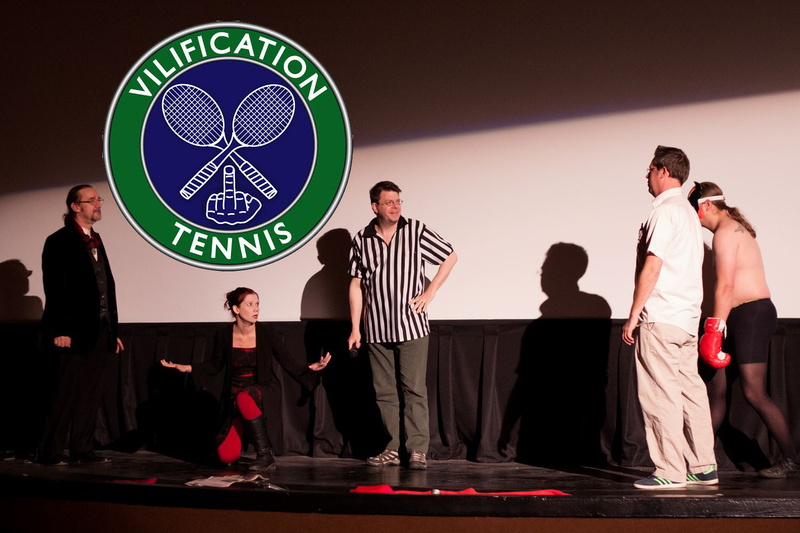 Special Guests Vilification Tennis will be joining us once again for BOTH HALLOWEEN SHOWS! You DO NOT want to miss this!!! Wear your best Rocky Horror costumes and you might take home some fabulous crap! As always, FREE condoms, lube, and dams will be available after the show courtesy of Family Tree Clinic and The Smitten Kitten! FREE health info courtesy of Pro-Choice Resources and Family Tree Clinic is available in the back of the theater for the duration of the show! Click here for show info! Click here to join the Facebook event! These shows are going to SELL OUT, so order your tickets in advance on the Uptown Theatre website or call the Uptown Theatre: (612) 825-6006. Check out their November show, Go Stuff Yourself! A Vilification Tennis Smorgasbord at Bryant Lake Bowl! 10:00pm Nov 28th. You might also want to check out another show by Vilification Tennis partner Fealess Comedy at the Bryant Lake Bowl in November, Caucasian-Aggressive Pandas and Other Mulatto Tales. 7:00pm Nov 13th – 21st. See you at the Uptown, you lovely creatures of the night!